It is surprising that many people do not know how important it is to drink plain water, and plenty of it, every single day. The human body depends on water for its most vital functions as well as its overall wellbeing. The health of the circulatory system is especially dependent on an adequate fluid intake, and virtually all other cells in the body have their fluid needs too. There is a constant need to replace lost fluids, to keep a healthy balance between the fluid we use and the fluid we lose. Our diet plays a part, as we obtain fluid from many fresh foods, especially fruit and vegetables, whereas heavily processed, refined and sugary foods may deplete our fluid balance. Relatively recently, it has been recognized that people generally are not drinking enough water. It also seems that our need for water is increasing. Not long ago, the basic recommendation from doctors and other practitioners was one and a half litres of water per day, whereas now many recommend two litres or more. For strenuous sports, in hot weather, and especially in high humidity, the requirement is very much greater. Children dehydrate at a faster rate than adults, so they need to take in water even more frequently and consistently. Fluid replacement is essential in illnesses in which the temperature is raised and there is sweating, or in cases of vomiting and diarrhoea. 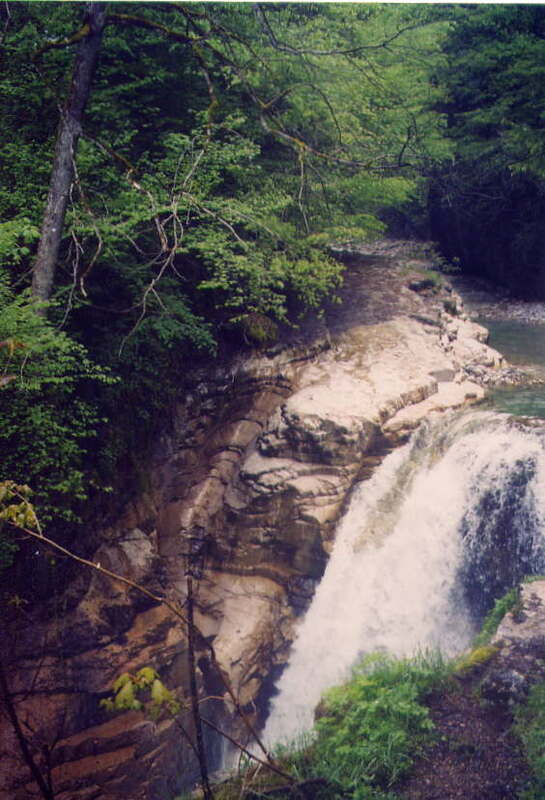 Most people enjoy drinking fluids which taste good to them, and few people find water tasty. Many therefore drink anything but water to quench their thirst, and may even find it surprising to learn that they should drink water. They make excuses, such as disliking the taste, being afraid of having to go to the toilet too often, forgetting, and drinking enough of other types of fluid. It’s “I can’t” or “I shan’t”. There are some curious misconceptions about water drinking, including the myth that “water makes you fat”. When I was a young tennis competitor, some respected pundits claimed that water weighed the body down, so one shouldn’t drink before playing. Thankfully, sports trainers and participants aren’t that ignorant now. Other types of drink apart from plain water do not necessarily provide you with sufficient usable fluid for your needs. Many drinks, especially tea, coffee, fizzy and alcoholic drinks, act as irritants to the body systems and stimulate the urine output. Therefore, they do not replace lost fluids adequately, even though they might seem to quench the thirst. Some types of drink, especially fizzy ones, far from being thirst-quenching, actually make you more thirsty. Many are also quite addictive, which makes it even more difficult to find the right balance between one’s fluid intake and one’s needs. Paradoxically, despite the increased awareness of health issues in all developed countries in the world, there has been a massive upsurge in the consumption of synthetic drinks as an alternative to water. This is far from healthy. When British adults refer to “watering-holes”, they usually mean a pub or bar where alcohol is consumed. The commonplace invitation to “have a drink” is issued countless times a day in supposedly civilized societies. The type of drink on offer is usually understood from the social context in which the offer is made. Among adults it often implies an alcoholic drink, although the expression may also be used for non-alcoholic “soft” drinks, tea and coffee, especially in countries where alcohol is banned. For a child the drink on offer is most likely to be juice, a diluted cordial or a canned fizzy drink. Straight plain water is the least likely to be at the top of the list of beverages consumed each day by adults or children. Social habits dictate what people drink much more than the need for hydration. A few decades ago, especially in the aftermath of World War II, people drank water as their main thirst-quencher. Drinks which cost money were a luxury which relatively few people could afford to indulge in every day. That situation has changed dramatically. Although clean drinking water is taken for granted in developed countries, people have become accustomed to buying and drinking coffee, tea, alcohol, fruit juices, cordials or fizzy drinks on a scale which would have been unthinkable some forty years ago on cost grounds alone. Even very young children may have most or all of their fluids supplied as flavoured drinks rather than plain water. Unquestioned habit and a measure of addiction together create a daily pattern of fluid intake which seemingly satisfies the thirst without any need for water. 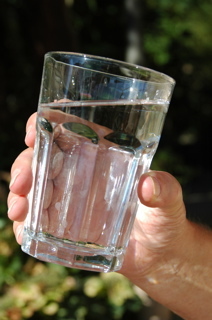 People who consume large quantities of synthetic drinks on a regular basis are often horrified by the idea of drinking a similar quantity of water. Some men who can gulp down a pint of beer or litre of lager in a matter of moments can only drink a glass of water in slow sips, if at all. It is well to remember that we can easily consume too much sugar in our Western diet, and most flavoured drinks have a high sugar content. Sugar substitutes are not a good answer, as many have been linked to health problems. Taken to excess, fizzy drinks, concentrated fruit juices, coffee, tea and alcohol are all likely to contribute to dehydration, partly because they stimulate urine output, and partly because water input is inevitably inadequate if such drinks are your main source of fluid. Some synthetic drinks also have adverse effects, including hyperactivity in children or food intolerance in all age groups. Cola-type drinks are known to deplete the body's calcium, and this can be a factor in bone and muscle injuries. The caffeine in tea, coffee and chocolate is both addictive and harmful. Excessive coffee drinking, in particular, is thought to increase significantly the risk of heart disease, especially in men. Some people consider that coffee may also be a factor in certain types of cancers. Many nutritionists now advise us not to drink tea or coffee within an hour of eating a meal. Too much alcohol, whether through an excessive daily intake, or episodically in binge-drinking to stupor, impairs liver function, and sooner or later can lead to serious damage to the liver and the nervous system. Alcohol should always be accompanied by food, never taken in on an empty stomach. That’s not to suggest that no-one should drink for pleasure, as that would be unrealistic in most modern-day societies. Drinking flavoured drinks should not pose any significant risk to health, provided the intake is not excessive, and is balanced by an adequate input of plain water. If you buy cordial drinks to mix with water, choose unsweetened organic versions without artificial preservatives, flavourings or colourings. Think of juices, cordials, canned, caffeinated and alcoholic drinks as luxuries and optional extras, not as essential or useful fluids. Try to use them on special occasions only, perhaps once a week. Always drink plain water alongside other types of fluid. When your water intake is inadequate, you risk being dehydrated. It is true that we obtain some fluids from other sources, including many foods, especially fruits and vegetables. However, this is not necessarily sufficient for the body’s needs. You can also become dehydrated despite drinking a lot of water, if your fluid loss exceeds your intake. To avoid this, you must be aware of the balance between the amount you take in and the amount you use or lose. Fluid loss can relate to environmental conditions, illness, infection, diet, intake of irritant fluids such as alcohol, tea or coffee, and hard physical exercise. The thirst mechanism should protect us from dehydration, but many people never feel thirsty, because they have quenched their thirst with water substitutes. Relative dehydration is a widespread problem among people of all ages. Very many people are relatively dehydrated some, much or all of the time, without necessarily being conscious of it. The symptoms of relative dehydration include muscular cramps, especially in the calf muscles at night, headaches after exercise or towards the end of the day, muscular twitching, dry skin, chapped lips, caked eyelids, and skin blemishes. As some of these symptoms may arise through other causes as well, the sensible approach is to increase your water intake anyway, and see your doctor if the symptoms persist over the following days. A simple test for relative dehydration is to lie on your stomach and bend one knee quite quickly a few times, or do the same movement on a hamstring curl machine against the resistance of a light weight. If the hamstring muscles on the back of your thigh cramp up quickly, it is a sure sign that you are relatively dehydrated. Total dehydration is a major emergency. It is a high risk In very hot, especially humid climates, or during a heatwave. In these conditions you do not have to be particularly active to suffer the effects. Being stuck in a car in a traffic jam in exceptionally hot conditions without a supply of drinking water can be enough. Heat exhaustion causes the victim to lose touch with reality and become disorientated, and can cause fainting. Prolonged unconsciousness may follow, and if immediate action is not taken the person could die. Rehydration is usually achieved through a drip which pumps fluids and salts directly into the body, and the victim stays in hospital for observation until the fluid balance is properly restored. If you do physical work, exercise or sport of any kind in warm or hot conditions, you have to prepare by drinking plenty of water well in advance. It is not enough just to take in fluids immediately before and during your exercise, as your sweating rate is likely to be greater than your ability to absorb the fluid. Marathon runners are strongly advised to drink water at regular intervals from the start of the day, and then from the first feeding station on the route. Similarly, tennis players should drink pre-match, not just during changeovers between sets. Dehydration has been an increasing problem for tennis players completing long gruelling matches in hot climates. The problem is worst in large arenas where the sun’s heat is intensified by reflection off concrete surfaces coupled with a lack of shade. Dehydration has even occurred at Wimbledon, when a heatwave has replaced the more familiar cool wet conditions. Even in a cool or cold climate, our fluid requirement is much higher than most people think. Where air conditioning is used to cool buildings, vehicles and other enclosed spaces artificially, the normal warning signal of thirst can be suppressed, and the risk of relative dehydration may be increased, especially if you have to go outside in burning heat. In mountainous regions or airline travel the high altitude also has a dehydrating effect. People may work in hot conditions, for instance in film, television or photographic studios, steelworks, car manufacturing and hospitals. Work which involves physical exertion including lifting, handling heavy equipment or loads and moving around creates loss of fluids just as much as energetic sports and physical exercise. Very fit sports players tend to sweat readily, so their fluid loss can be very great. Some sports competitors dehydrate themselves on purpose in order to make the weight for their event, including boxers, lightweight rowers and weightlifters. Apart from abstaining from water, they do vigorous exercise to work up a sweat, depleting as much fluid as they can from their bodies for instant apparent weight loss. This can be especially dangerous if they have to compete before they have rehydrated adequately. Competitors in weight category events should be encouraged to take part only at their normal bodyweight. Dehydration is especially common among older people. The thirst mechanism tends to decline with age, so they have less warning of the risk of dehydration than younger people. Many people lose their taste for water as they get older, even if they drank it without problems when younger. Some, of course, never drank much water at the best of times. Many will only drink tea, coffee, juices or alcoholic drinks. Older people are especially likely to restrict their intake of any fluids to try to limit their urine output, especially if they are relatively immobile and find it difficult to get to the toilet, or if they already have a degree of incontinence. Insufficient water is detrimental to health, although this may not be immediate or obvious. The kidneys require constant flushing through, and if this process is not maintained consistently, it can contribute to problems such as kidney stones, urinary infections or the gradual process of kidney failure. Constipation can also be linked to insufficient fluid intake. The circulatory flow is definitely affected by even a minor level of dehydration, and this can be a factor in a variety of problems relating to the cardiovascular system, ranging from muscle cramps, varicose veins, blood clots, heart problems, strokes and reflex sympathetic dystrophy. In older age, relative dehydration is now known to be an important factor in declining mental function and dementia. In clinical practice it is becoming increasingly evident that insufficient water intake might be a significant factor in many musculoskeletal and neurological problems. When questioned, the vast majority of my patients admit that they do not pay attention to their water intake, and that it is inadequate. A few patients have confessed to drinking no plain water at all, except with tablets. One middle-aged man, who was suffering from circulatory problems, estimated that his last drink of plain water had been about eighteen months previously. I have never yet met a stroke patient who drank sufficient water before the illness. Relative dehydration is often a factor in my patients’ sports injuries. Of those patients who do normally drink adequately, quite a number appear to have gone into “water deficit” immediately before the problem or injury which made them come for treatment. The reasons for the deficit vary. In some cases the normal pattern of water intake has been disrupted because of a change in environment, activities or other circumstances, while in others the patients have failed to allow for increased need due to warmer weather, greater physical exertions, feverish illnesses or digestive upsets such as diarrhoea. Dehydration is also known to affect mood adversely, and it could be a factor in “road rage” and traffic accidents. Research has focussed on the link between excessive salt intake and various illnesses, especially those affecting the heart. There is a strong argument for investigating water intake as another potentially important factor in illnesses and physical problems of different kinds. A clean water supply, sufficient for the whole population, has been the basis of every public health system for as long as humans have been on this earth. Any catastrophe which causes disruption to the supply of clean water, such as a war, flood or earthquake, immediately creates health dangers, including potentially fatal dehydration and the spread of communicable diseases like typhoid. Disaster relief work always focusses on the provision of clean water as a major priority. Sadly, in the year 2000, it was estimated that a sixth of the world’s population did not have access to clean water. In the supposedly developed countries, commercialization, arguably, jeopardizes the delivery of clean water. Privatization of water companies throws up a conflict between the interests of the shareholders, expressed as ever-increasing profit margins, and those of the consumers, requiring investment for maintenance and upgrading of the supply systems. More tragically, natural inland water sources have been chemically polluted on a massive scale in the commercial interests of industrial and agricultural “progress”, despite the best efforts of environmentalists. In the poor countries of the world, lack of clean water is a primary factor in ill-health and high death rates, especially among children. There are many commendable international aid projects to correct this, in many places. However, in some countries failure to provide a viable water supply is a political decision based on the lack of any perceived commercial advantage: those in power spend money more readily on weapons and self-indulgence. Clean drinking water should be freely available in all public places, institutions and working environments, and the message that water is vital for health should be put across as clearly and attractively as possible. As dehydration affects mental functioning and can cause symptoms like irritability and lack of concentration, roadside service stations should be prime places where drivers and passengers are encouraged to drink water as a matter of course. It should not be a matter of having to choose between buying a bottle of water and some heavily marketed synthetic drink. The former must be seen as a necessity, the latter as an expendable luxury. Sports players should all be educated to drink water, and in turn they should set the example for the young. It can be argued that the practice of advertising synthetic drinks at major sporting events should be controlled in order to promote the right message and avoid confusion. At present, especially during televised events, competitors drink from cups labelled with brand names, giving the impression that they are drinking synthetic drinks, even when in many cases they are in fact drinking water. Even in countries where the tap water is deemed safe, people are often wary, fearing contamination by heavy metals and xenoestrogens. Sales of bottled water have multiplied. Most bottled water comes in plastic containers, even though it is known that the plasticizers (phthalate esters which make the bottles flexible) depress the action of the thyroid in humans. Glass bottles are preferable. Wrap the bottle in cloth if you're worried about breakage. In hospitals, staff and patients alike must be aware of the need for an adequate water intake. If nurses and doctors do not drink enough themselves, they are unlikely to pay due attention to the patients’ fluid needs. The problem of dehydration among hospital patients in Britain is known to be rising. In my family we had personal experience of this, when our mother, then 80 and in full possession of her senses, was admitted to a major London teaching hospital because of an infection. Overnight she became apparently demented. The hospital staff offered us no explanation for this, nor did they take any remedial action. Fortunately, we were warned by a friend who had suffered a similar experience in another hospital that dehydration was the most likely explanation. Therefore, we sat with her persuading her to sip water throughout that afternoon, and by the evening she had returned to normal. The episode was repeated over subsequent years, each time our mother was admitted to various wards in the hospital for different problems. It concerned us that, without the intervention of her son and two daughters, she might have been diagnosed as suffering from senile dementia and treated accordingly, whereas thanks to the correct care she lived to 90 without dementia. Our experience showed us that our mother’s dehydration in hospital wards was caused by several factors: various consultants in charge of our mother’s case took no active interest in the issue of patient hydration; nursing staff, who were mostly temporary locums rather than permanent employees, did not routinely offer water to the patients; tea was considered an adequate fluid replacement; often there was no jug or glass of water within reach of the patients; and, all too often, the patients were reluctant to ask for water to be brought because they were afraid that the nurses were too busy. By contrast, one department in the hospital was exemplary at maintaining patient hydration. The consultant dictated a constant routine of water replenishment, which was carried out by the dedicated nursing staff. Signs of relative dehydration were watched for and action taken, so dehydration among patients was a rarity. This used to be the norm in British hospitals: as I remember, when I worked in hospitals thirty years ago, all staff, including the physiotherapists, routinely offered water to the patients resident on the wards. Whether they are in hospital, at home or in an institution, persuading the old to drink water regularly can be a major problem. If they suffer from short-term memory loss, they can find it difficult to maintain a set pattern of water intake. Even if they are alert and aware of the dangers of not drinking enough, they can still be reluctant to take in water. Everyone close to or responsible for an old person has to realize how important an adequate fluid intake is. Of the various strategies which can be tried, one of the most effective is to encourage the old person to sip water at frequent intervals, so that at least there is a regular input, even if the quantity is small. In some situations, replacing lost salts (electrolytes) should also be taken into account for adequate hydration. This is the case if you are in a hot, humid climate, especially if you are physically active, or if you do heavy work or hard exercise in moderate temperatures, particularly if you tend to sweat heavily. Remember that plain water is the first priority, so do not just take salt tablets, for instance to relieve muscular cramps, without also increasing your water intake considerably. If you feel you need electrolyte drinks in addition to water, take professional advice from a sports dietician or nutritionist, if possible. Experiment with the products available to make sure you find one that suits you and that you are not intolerant to. This is especially important for people who drink during their physical activities, such as marathoners, triathletes, racing cyclists and racket games players. Competition day is not the best time to discover that a particular product gives you nausea or diarrhoea. Everyone who takes up water-drinking is pleasantly surprised at the good effects they perceive, usually within a few days of establishing the new regime. People often report that they feel more energetic and alert, their skin is clearer and healthier looking, their digestion is better, and many types of aches and pains are significantly reduced or even eliminated. Backache in particular is often helped by water drinking, as it helps to reduce muscle spasm, and is of course essential for curing pain relating to kidney stones or other kidney problems. Many people also find they are calmer, less irritable, and in some cases less prone to violent outbursts of temper. In the beginning, increasing your water intake may result in more frequent visits to the toilet. However, this is quickly regulated, once you have established the right pattern of drinking fluids in relation to your needs. Then you are likely to notice that in fact it is synthetic drinks and caffeine that make you need the toilet urgently. If you drink mainly water and avoid other types of drink as much as possible, your need to urinate will fall into a normal, controlled pattern. Monitoring your urine is a useful guide to your hydration and health. It should be free-flowing, reasonably copious and clear. You should pass urine normally about every hour or two. If your urine looks dark, drink more water and cut out all refined sugar and sweetened products. If your urine turns pink after you have eaten beetroot, it might be a sign that you are slightly iron-deficient, so taking an iron supplement may correct this. If your urine remains dark, becomes foul-smelling, is tinged with blood, or if passing it is difficult, painful or urgent, you should consult your doctor. It can be harder than one thinks to give up the water substitutes that we drink habitually. Alcohol addiction very often requires long-term treatment. Real cure means being able to have the occasional alcoholic drink without any craving for more. Many ex-alcoholics remain at the stage of having to control their addiction through total abstention. Other addictions, such as to caffeine, can be difficult to control too. As a student, in common with most my peers I used to drink coffee throughout the day, as a respite from studying, a comfort, and for conviviality. There was no coffee to be had in Moscow in 1979, when I was there as physiotherapist to the British junior rowing team. I experienced violent headaches, withdrawal symptoms which were cured by drinking quantities of the black tea which was readily available. I had not realized until then that I was addicted to caffeine. Since then, I've taken care to limit my intake each day, and every so often I leave out caffeinated drinks altogether, to make sure I can. Caffeinated drinks such as colas and iced tea should not be given to children. Apart from the possibility of damaging young body systems, the earlier any addiction starts, the harder it is to eradicate. The health benefits of cutting out addictive drinks and making water the mainstay of our fluid intake are incalculable, and well worth the effort. How much water have you drunk to day? If the answer is little or none, you need to take immediate remedial action. If you wait until you’re thirsty, it’s too late! If you know you do not drink enough water, or if you have to ask yourself whether you do, it is time to establish the habit of a good water intake, and to encourage those around you to do the same. Drinking too little water is asking for trouble. Firstly, it puts you at risk of suffering one of the many possible problems related to dehydration. Secondly, once you suffer a dehydration-linked problem, it is much harder to establish good drinking patterns in order to achieve the fluid balance needed for recovery. The first priority is to ensure that you drink plain water as your basic fluid replacement. There is no alternative to plain water which guarantees adequate hydration. That said, the best alternatives to simple water are freshly squeezed fruit juices diluted with plain water, and herbal teas. If you are worried about drinking tap water, you can filter it. If you absolutely hate drinking water, you may find it more palatable if the water is hot. Alternatively, you can dilute the water with a tiny dash of fresh squeezed lemon or orange, or make up very weak mixtures of water with a dash of fruit juice or (preferably unsweetened) squash drink. It is important to start each day with water, otherwise the day’s activities begin after a lengthy period without fluid replacement, so you are more likely to be or become dehydrated to some degree. This is a particular danger if you normally take exercise first thing in the morning, such as a run, game of tennis or gym session. Start the day with a glass or two of plain water. Drink plain water at regular intervals during the day. Make water your main source of fluid. Try not to drink a lot at any one time, but drink consistently and frequently. Although you should be aiming to drink about one and a half to two litres of plain water for normal life in a cool to moderate climate, don’t worry too much about the quantity, if you find it difficult to drink water. Just make sure you drink at least a little every hour. In conditions when you need more water, for instance if you are physically active, if the weather is hot, or if you have been losing a lot of body fluid for some reason, try to drink a little more at a time, and more frequently, even every 15 or 30 minutes if necessary. If you eat healthily and drink enough water, you are likely to need some salt on your food to maintain your sodium balance. The habit of drinking plain water as the main source of fluid replacement should be acquired in childhood from the earliest age possible. As soon as a baby starts taking in fluids, he or she should be offered plain water, and definitely not sweetened synthetic juices. The sooner the water-drinking habit starts, the more likely it is to be maintained throughout life. It’s often the case that if a mother is a poor water drinker, her child most often is too, although it is a matter of conjecture whether the aversion is inherited or simply through example. If the water-drinking habit is not acquired early on, it is much harder, although not impossible, to cultivate at a later age. Children should be encouraged to drink water at very frequent intervals. There should always be a jug of water on the table at meal-times, preferably without competition from flavoured or fizzy drinks. If there is no convenient source of water at their school or where the children play, they should carry a water flask with them at all times.